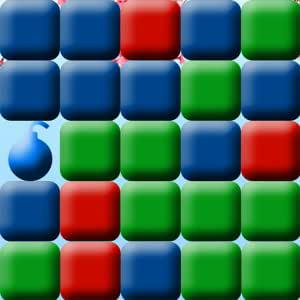 Collapsed Bubbles Blitz is a classic bubble popping game. It is free iPhone and iPad game, play it on your iPhone oriPad. The goal of the game is to earn points by eliminating bricks from the game board. You have 60 seconds to destroy as many bubbles as you can. There are few special bubbles: coloured bomb will destroy bubbles of the same color and black bomb would destroy all bubbles around. Game over if there are no more empty rows to fill or you have spent 60 seconds.int for each removed bubble depends on number of bubbles in the removed group. 5.0 out of 5 starsok was fun. 1.0 out of 5 starsI did not order this item. i dont think i understand the game,if so it's pretty young. Just plain fun Great fun for waiting appointments fast paced, interesting, and short games that keep you amused all the time.